cat’s out of the bag, we’re going to disney!!! A few months ago, my husband and I decided it was time to take our girls to Disney World. This will be their first time! They are 8 and 4 years old, and we have talked about going to Disney even before our second daughter was born. Through the years, things came up, like saving money to buy our first house, our second daughter, needing a new car…the list goes on and on. All important things mind you, but we decided we should make plans now before something else comes up. I started looking into vacation packages about 3 months ago, and I thought we were ahead of the game. I was about to find out how wrong I was. Disney dining reservations can be made 180 days in advance, and fast pass+ reservations can be made 60 days in advance for Disney hotel guests. I really wanted to take our girls to eat at Cinderella’s castle and chef Mickey’s for breakfast, but I was too late. By the time I booked our vacation, they were both booked solid on all the days were are planning to attend. I was able to get some pretty good fast pass+ reservations, so we are going to have an awesome time anyway. Then I gave them their second half of their gift. 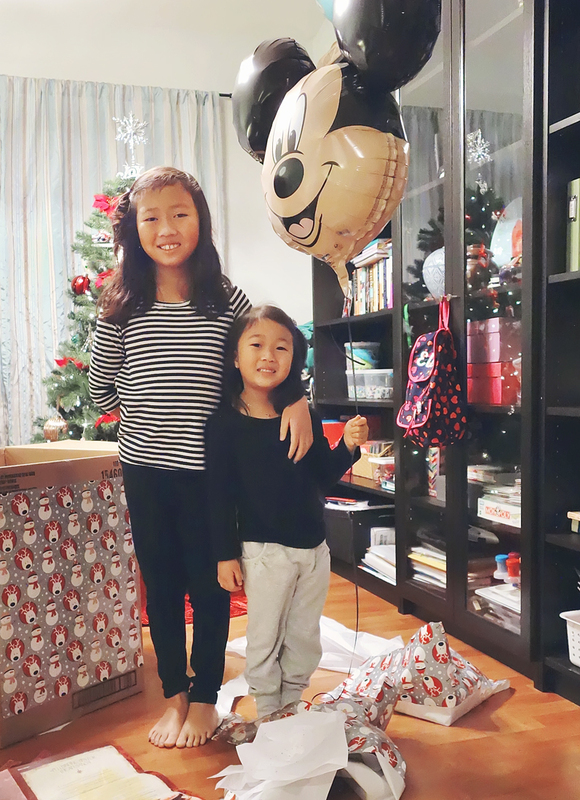 In a big Christmas gift bag, I included Minnie shirts, personalized Disney World maps, our magic bands, some Minnie ear hair clips, and personalized autograph books that I made for them. 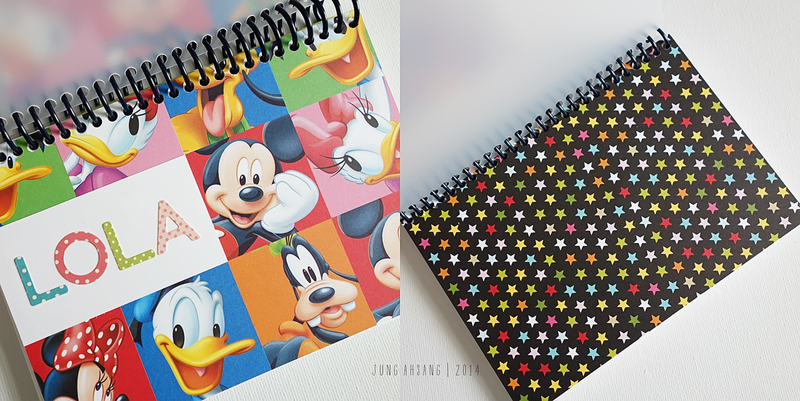 I got some Mickey & friends patterned scrapbook paper from MIchael’s to make the cover page, and used October Afternoon stickers to spell out their names. 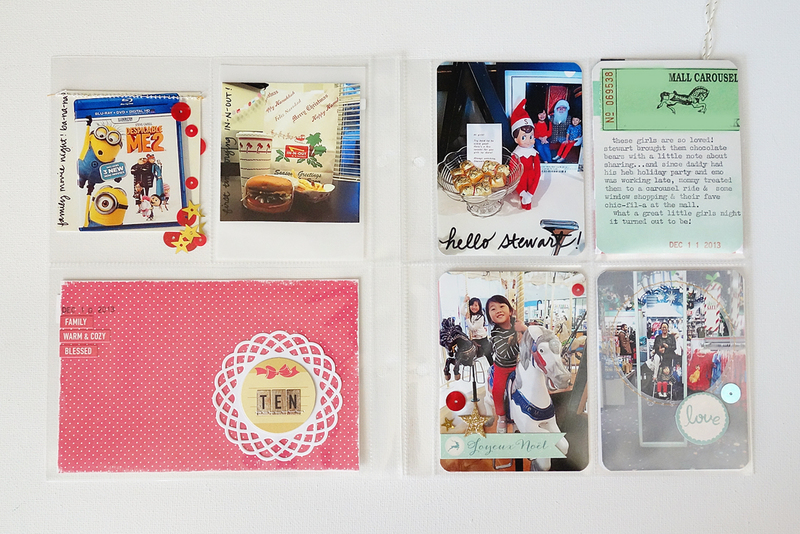 I also bought a pack of cardstock from Michael’s (measuring a little bigger than 4 x 6 inches) as filler. The back star page is by Bella Blvd. 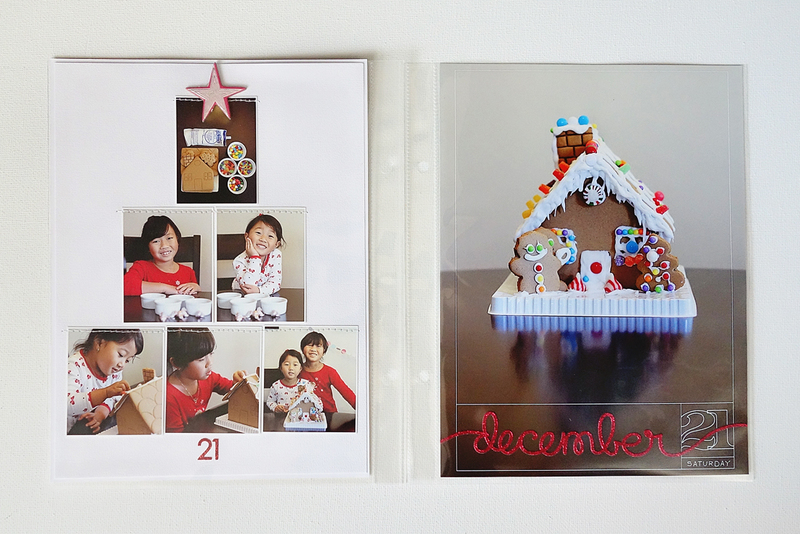 I cut both the cover and back page to the same size as the card stock. 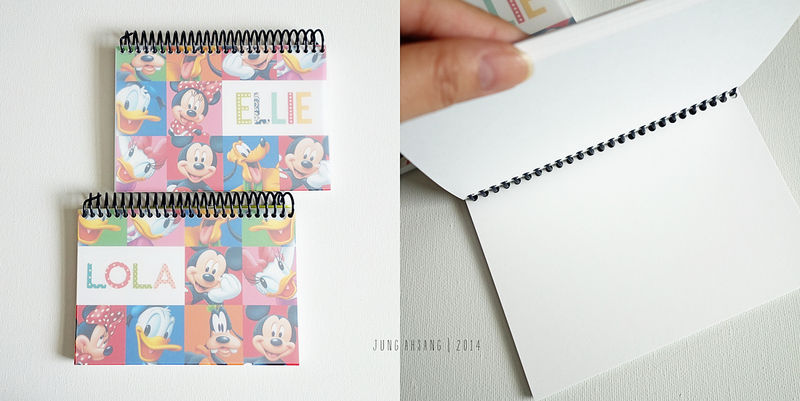 I included about 30 pages of card stock for each book, to leave room for the girls to write or draw, and to include pictures of the girls and Disney characters. Then I went to Office Max, choose a frosted plastic cover for both front and back, and had them spiral bound for just a few dollars. This was a very affordable project. 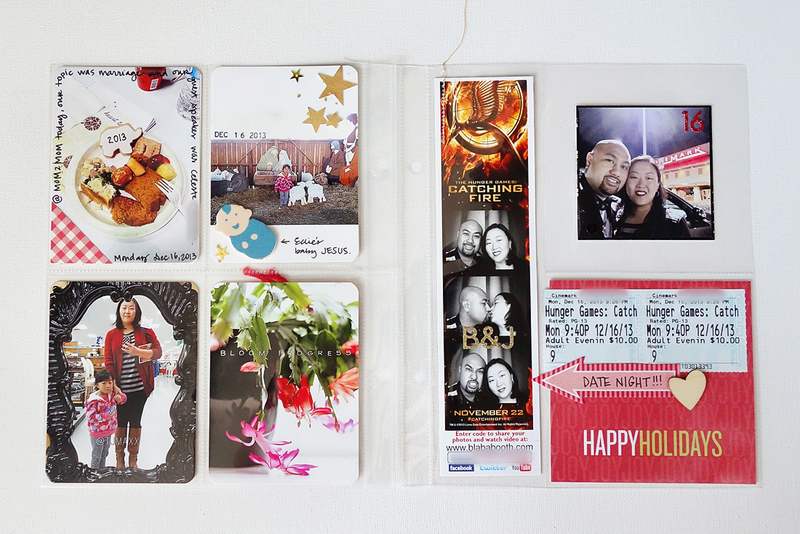 I used MIchael’s coupons and stuff from my scrapbook stash. 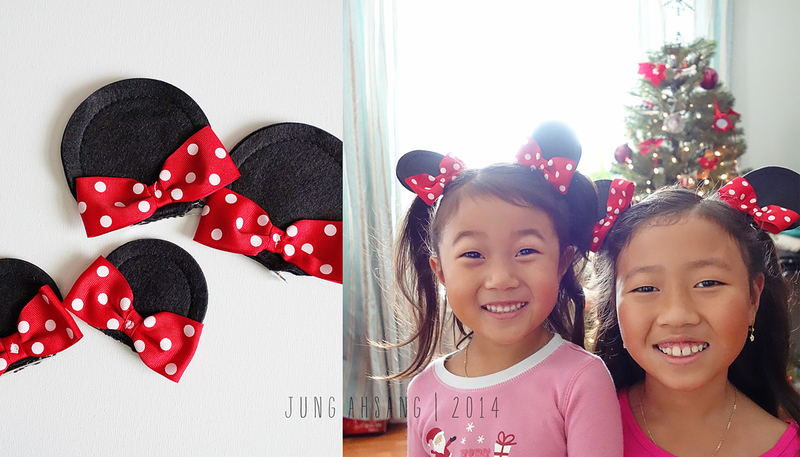 I got the Minnie ears hair clips from an etsy shop called head2toedesigns. We are so so excited! I’m so glad that the girls know, and I can start getting things together to pack without being so secretive! 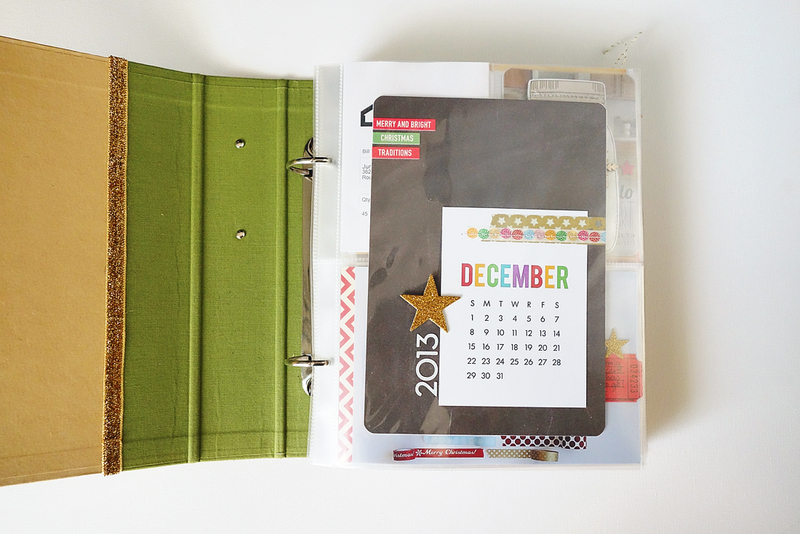 Here is the second part of my 2013 December Daily. 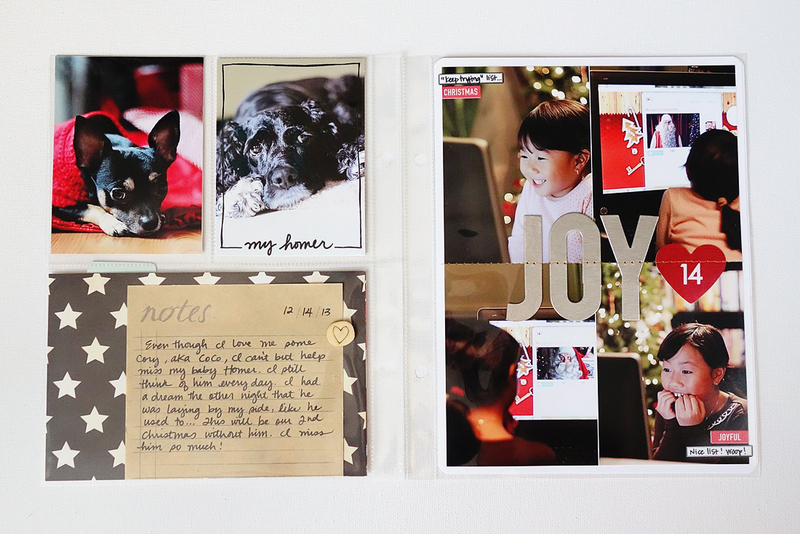 Day 14: the dogs, and an e-mail from Santa! 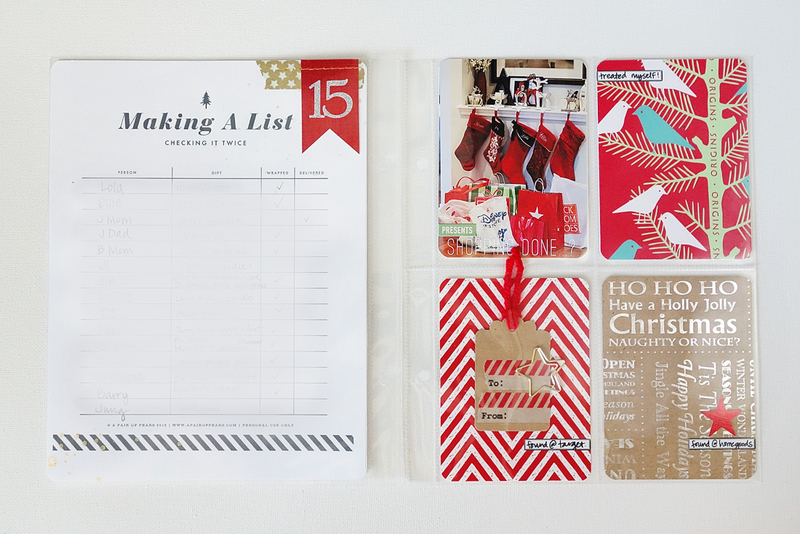 Day 15: making a list printable (from here: http://www.apairofpears.com/2012/11/making-list-christmas-gift-record.html), shopping, and the gift wrap papers & tags I used. Day 16: MOM2MOM with my pre-schooler & a movie date night! Day 19: got my red cup! 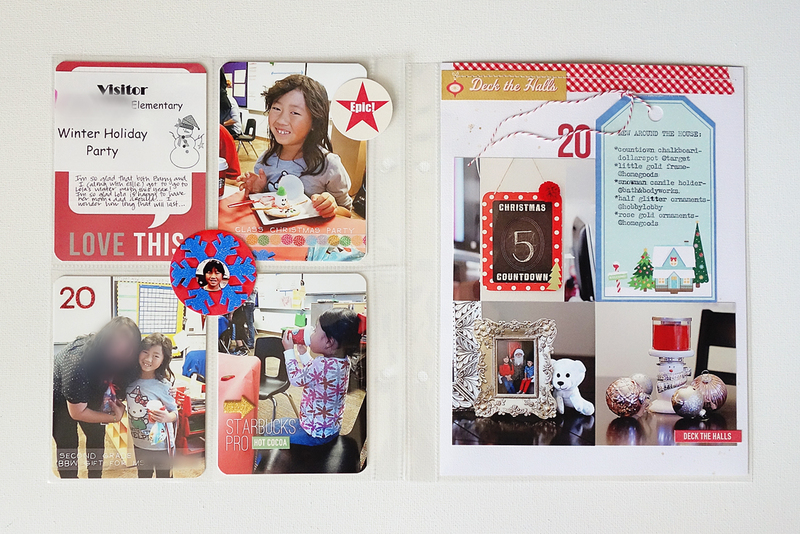 Day 22 – 23: cookies, crafts, & our tree! 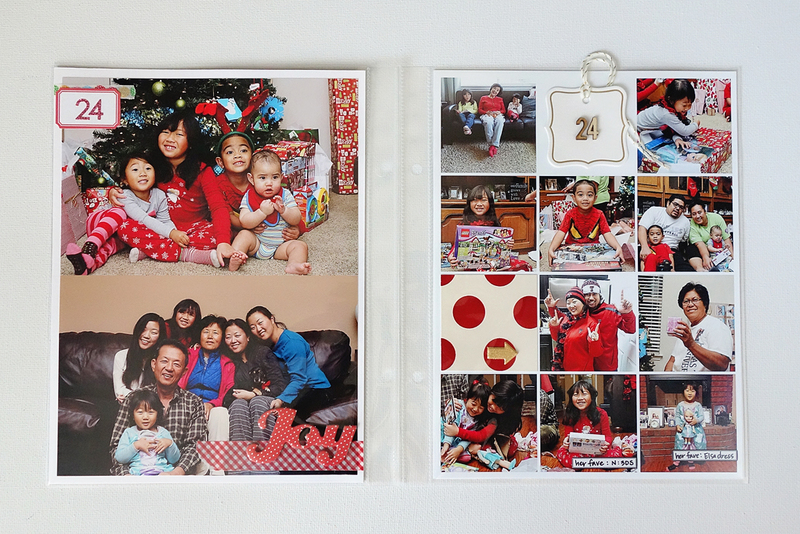 Day 24: We open the majority of our gifts on Christmas Eve with family. 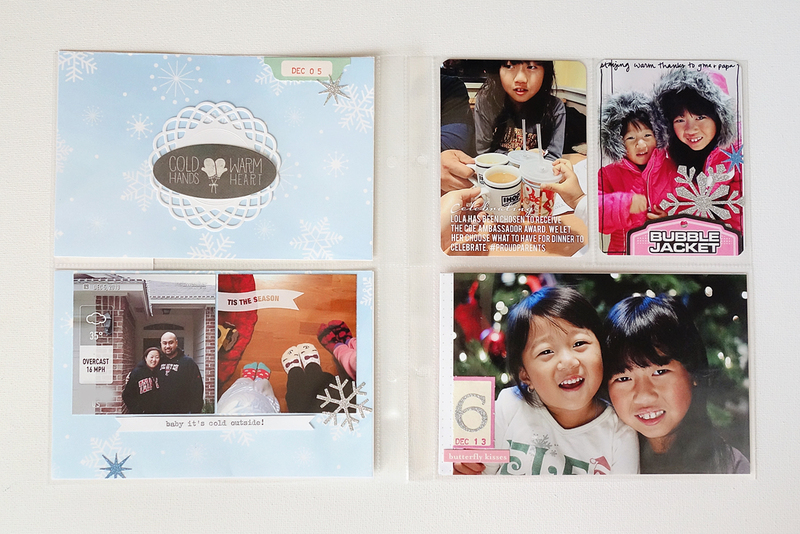 What to do with all your holiday cards:? 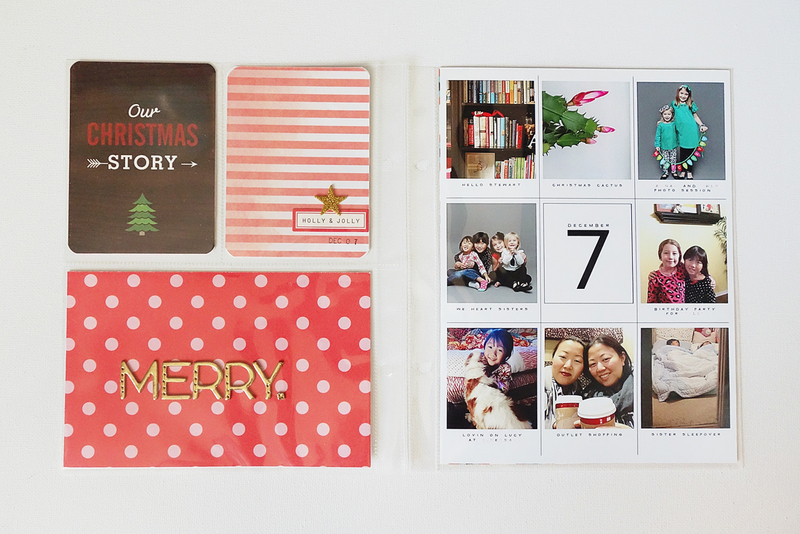 I punch holes in all the holiday cards we receive and add them to the back of my December Daily album. We don’t get a crazy amount of cards, so it works for us for now. Again, I don’t remember where all the products are from, but I did use American Crafts, Dear Lizzy, Studio Calico, Martha Stewart & October Afternoon. 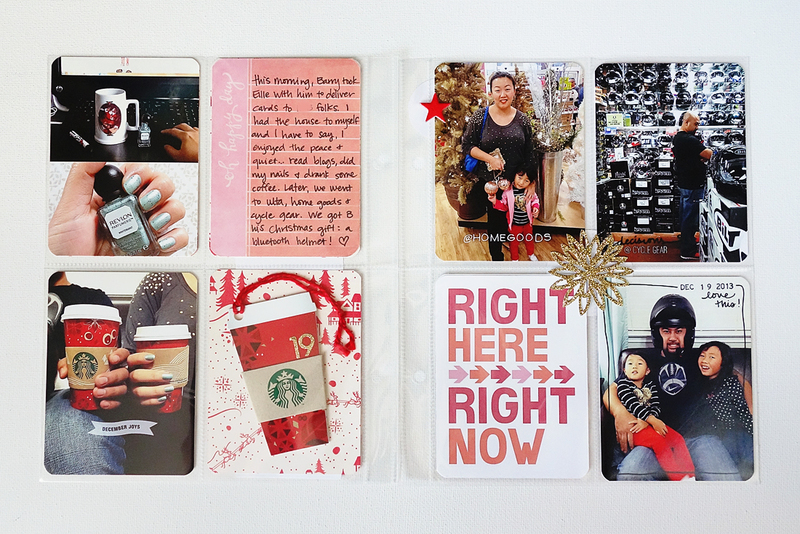 I also used digital overlays from Ali Edwards and Paislee Press. …and that’s a wrap! I would love to see your December Daily, both past and present! Leave a link in the comments! I’m so ready for the holidays! We are only just into the first week of November, but I’m already dreaming of December! 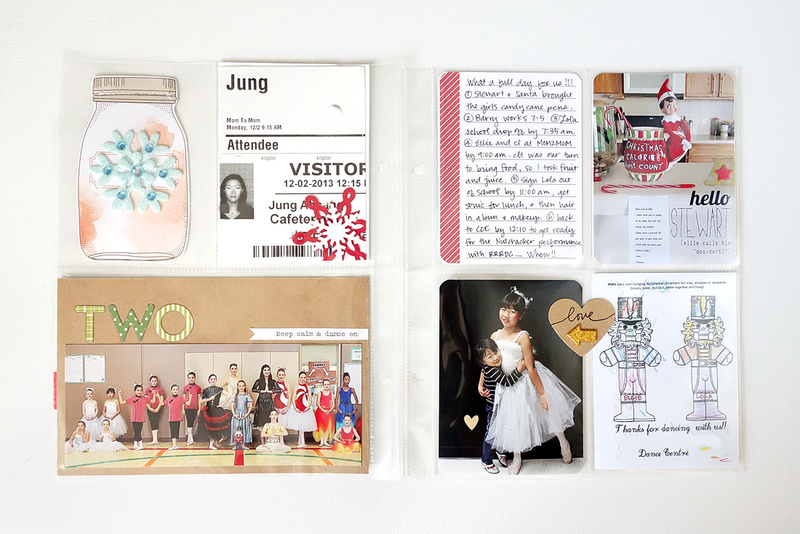 We have big plans in December, and I can’t wait to document it in DD 2014. 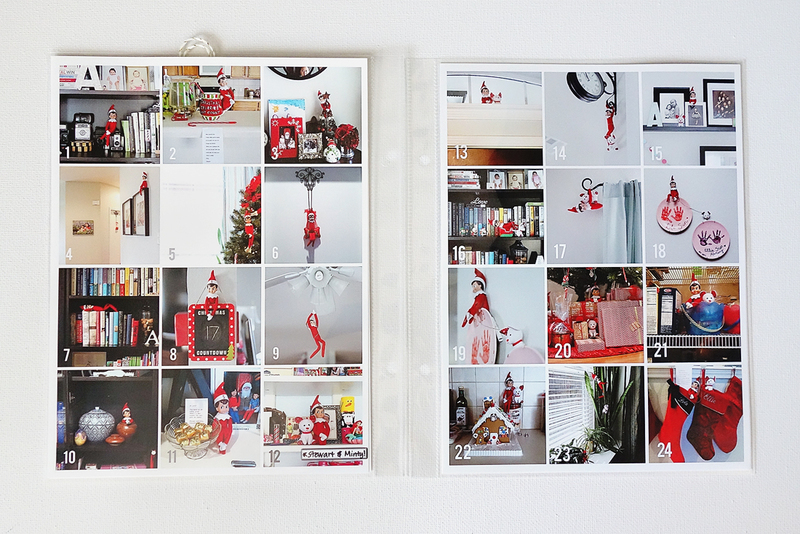 I’m sure you all know about December Daily already, but if not, in a nutshell, it’s documenting/ scrapbooking the 25 days of December. You can find all the information there is to know on Ali Edward’s blog! 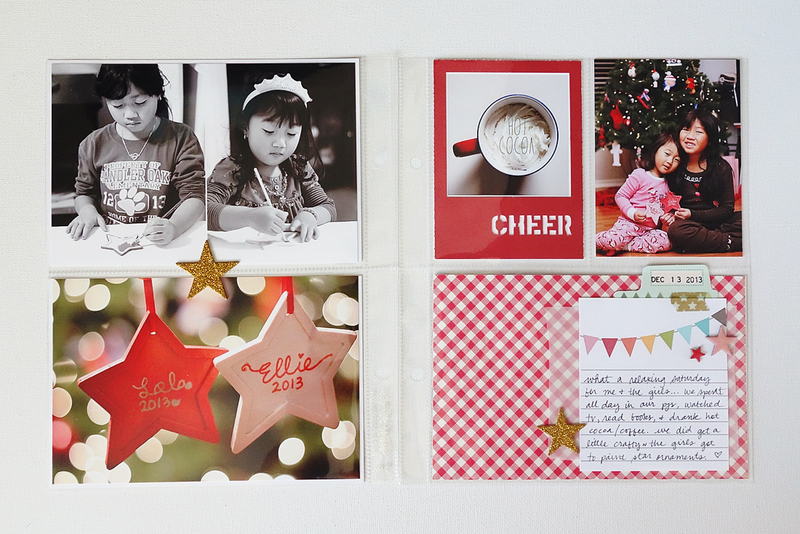 This year will be my 5th year participating, and I so love this project! 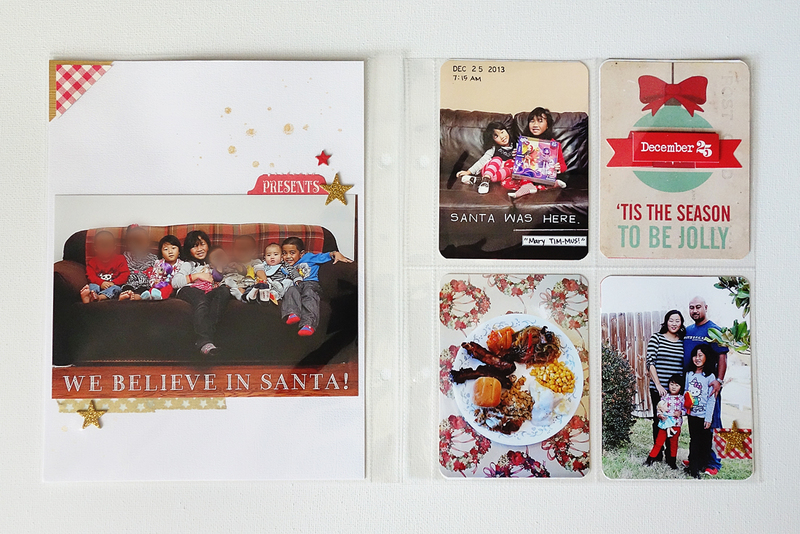 Day 1: I surprisingly had my Christmas cards ordered early! 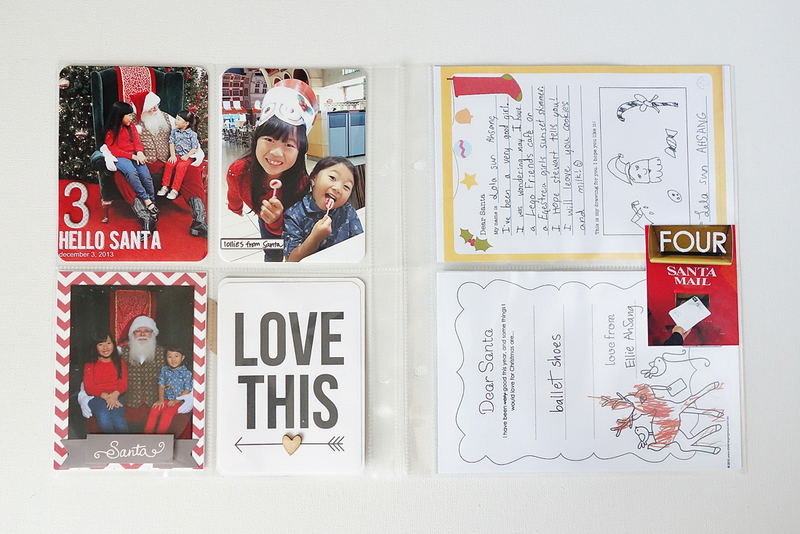 Day 3 & 4: SANTA! 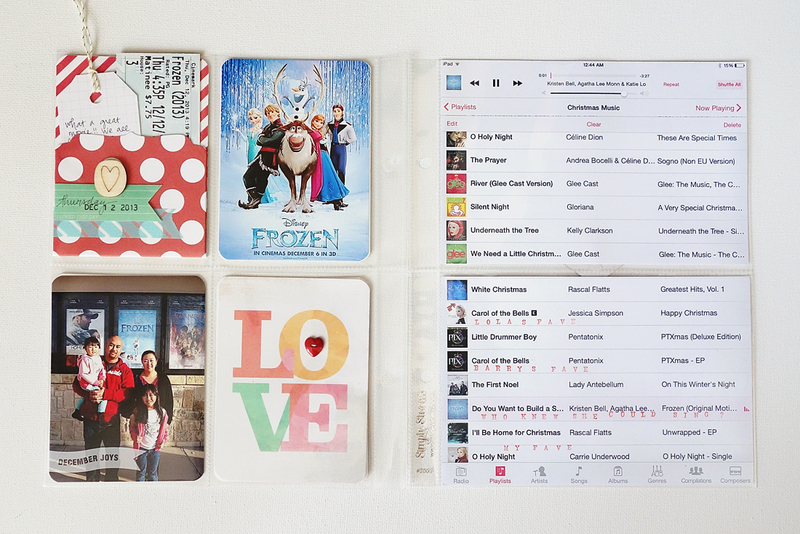 Day 12: Watched Frozen & our Christmas playlist on repeat! This was my first pocket-style/ project life-style album, and I love it! This is the style I will be using this year as well. I can’t remember where all the products are from, but I did use American Craft thickers, Dear Lizzy, Studio Calico, Martha Stewart & October Afternoon. 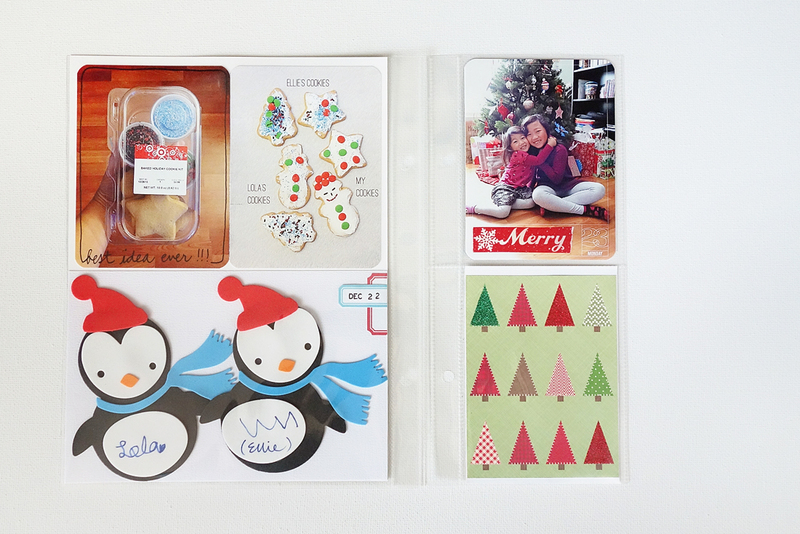 I also used digital overlays from Ali Edwards and Paislee Press. 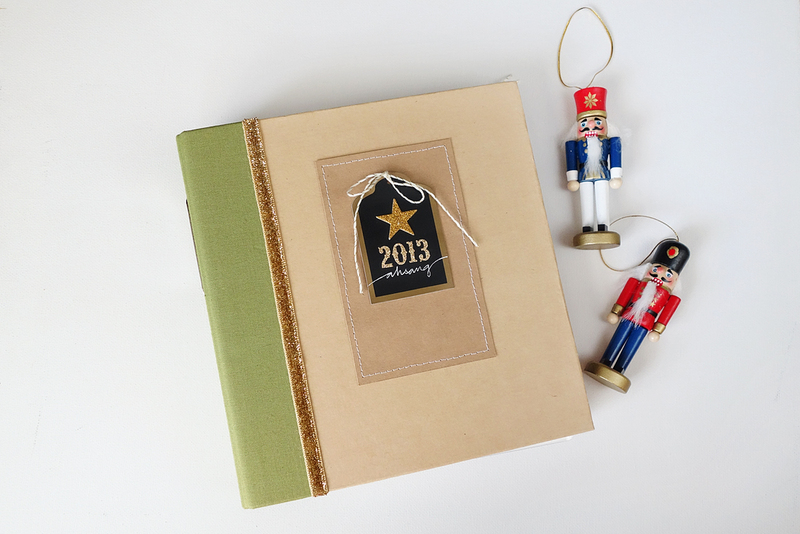 Stay tuned for the rest of my 2013 album! photographer: a memorable gift on her 60th. A few weekends ago, we, along with my husbands family, drove to Oklahoma for a surprise 60th birthday party, celebrating a very special lady. We hadn’t been to Oklahoma since 2010, so it was a long overdue road trip. Not only did the 16 of us make the trip, but her kids and grandkids from across the country were there as well… all 9 kids and 16 grandkids there at the same time! Her expression when we screamed “surprise!” was priceless! I took my big camera to document this incredible story. I wanted to send her a very memorable birthday gift. 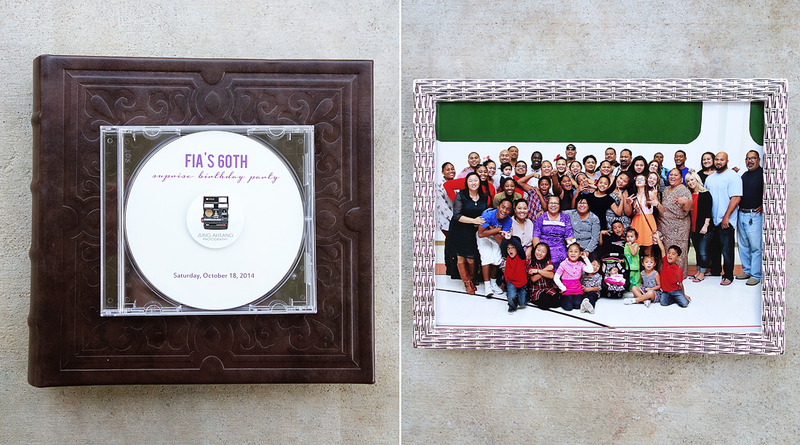 When I got home, I looked through 100+ images of the surprise party, edited the images (indoor lighting always needs to be corrected and there are always head swaps involved in big group pictures), and had them printed. At first, I was going to send just the disc of edited images, but I know that digital images rarely get printed these days. Then I picked up a nice photo album and a frame. 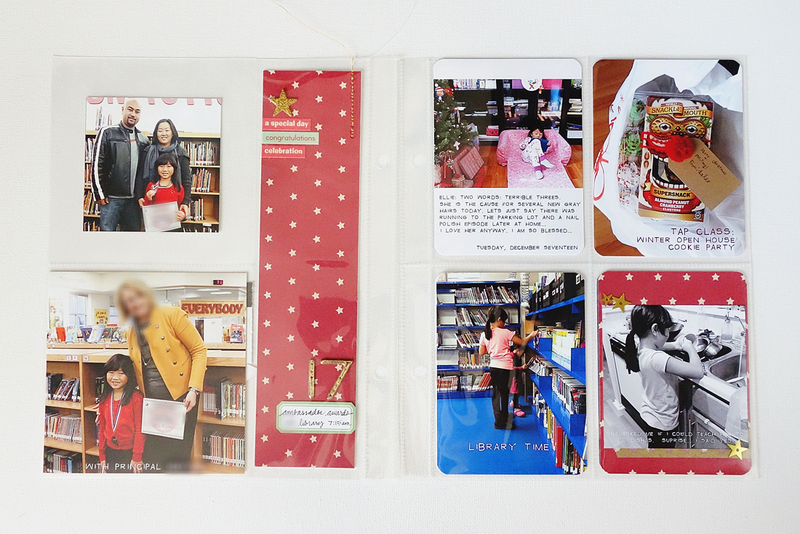 I packed the album with photos and a few insert cards, like the one I made providing the occasion and the date, and the birthday cards that my girls made for her. (love them) I had the best group photo printed in 5 x 7, and got a pretty frame to put it in. I also put all the edited images on a disc. I packed the album, frame, and cd in a box with care, and sent it off in the mail, hoping it would get there safe. 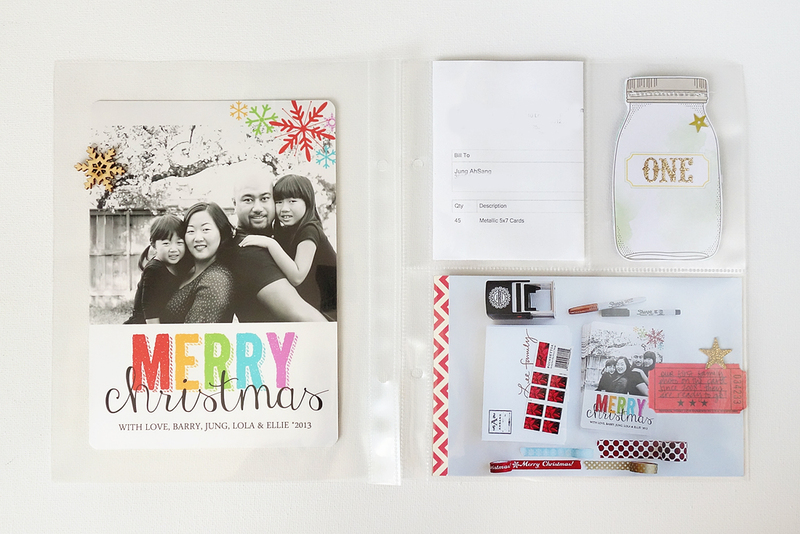 Now that I know everything got to it’s destination safe and sound, I can share this gift idea with you! Print those images! Don’t let them sit on a disc or in your computer! 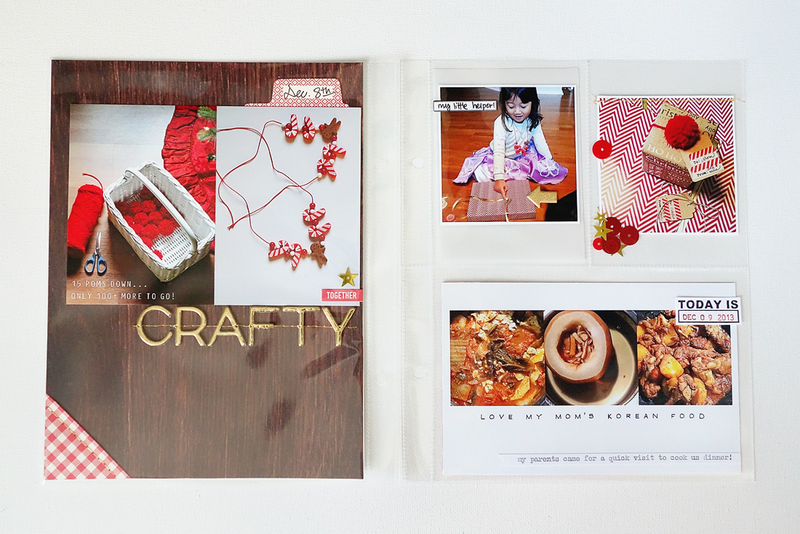 If you aren’t a scrapbooker, you can just fill a nice photo album. I really hope that she loved her gift. 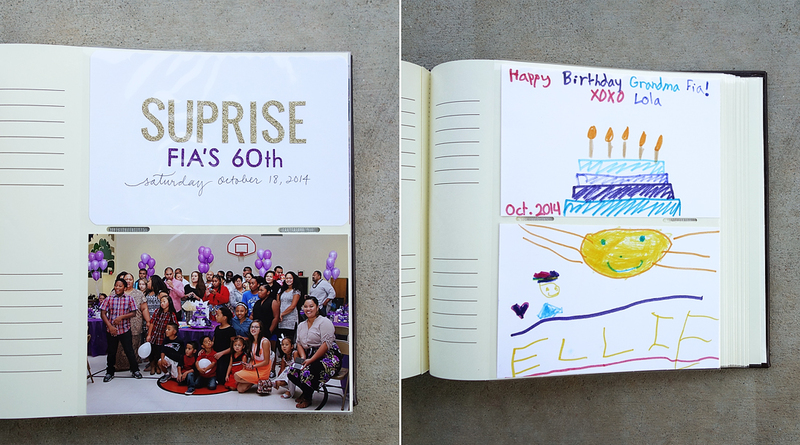 Happy 60th Auntie Fia!